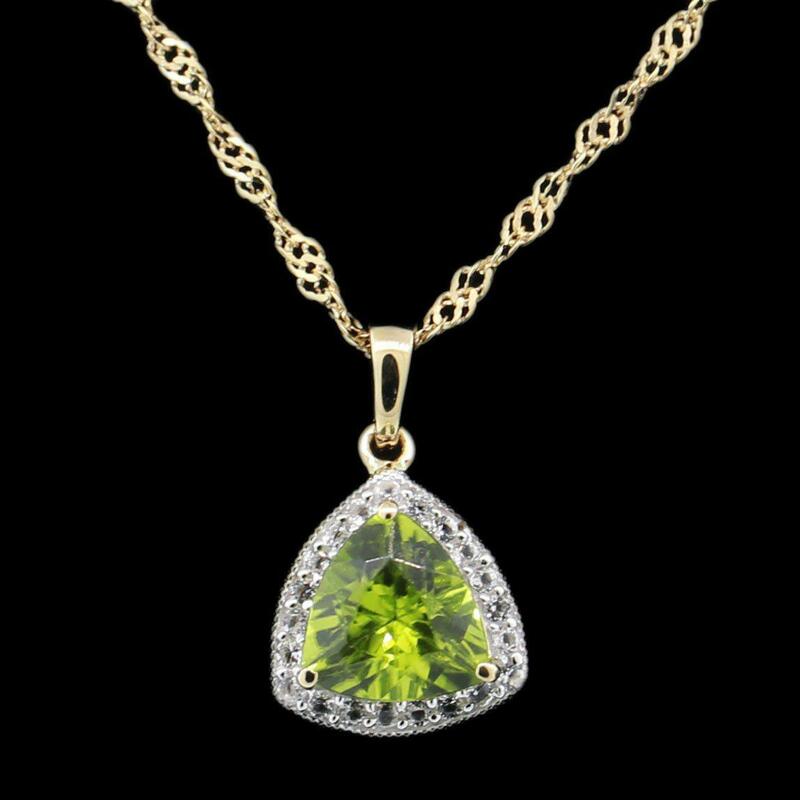 One prong set triangle mixed cut natural peridot, measuring 8.00 x 8.00 x 5.20mm, approximate weight of 1.60ct., clarity is eye clean, type II, medium, very slightly grayish, yellowish green color, (GIA yG 5/3), cut is good. Twenty-one bead set round mixed cut natural white topazs, measuring 1.20 - 1.20 x 0.00 mm, approximate total weight of 0.21ctw., clarity is eye clean, colorless, very slightly grayish, white color, (GIA W 0/3), cut is good. Total Weight of Colored Stones 1.81ctw.